The modern wireless technology has always proved to be of great essence to many folks in such a way that sharing files over Wi-Fi between the same or other operating system is no longer a tedious task. Gone are those days when our android smartphone “bluetooth” services serves as the main source for file transfer. Even if it seems intriguing, the fact still remains that bluetooth file transfer process is as slow as snail. Mainly, our bluetooth services can be convenient when it comes to transfering files such as images, music etc. But once it reaches the phase of sending a large file by using the bluetooth medium, this can take hours. However the case is different now as we’ve come to a point where android device and computers are “ubiquitous” in society. Also Read: How To Send Large Files Or Attachments With Gmail Using Google Drive. Thus tons of essential file transfer apps are been developed everyday to make life easier. Sharing files over Wi-Fi direct can be termed as a “power horse” since it moves within an intense speed of 20-40Mbps and even more. The good news however, is that several third-party android apps are been developed to painlessly help you transfer files between two android and perhaps to PC and other operating systems too without the need to plug in your cable to a computer system thereby copying and pasting a few files from one device to the other. Upon vetting the Google Play Store, we geeks over here at techviola decided to benchmark the best WiFi file transfer or file sharing apps for android. 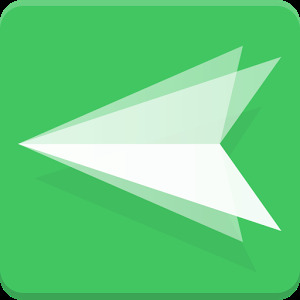 AirDroid is one of the best file sharing apps for android device that has been recommended by many known experts. The app delights your multi-screen life in many way. AirDroid allows you to access and manage your Android phone or tablet from Windows in a wirelessly way for free. AirDroid once configured on your computer can act as a dashboard for controlling your Android device. Thus you can browse your smartphones internal storage and transfer files over to your computer directly from the interface. The AirDroid developers are currently testing some additional features which allow you to view and respond to calls and SMS messages directly from your computer, and there’s even a screen-mirroring feature that lets you control your Android device with your mouse and keyboard. With AirDroid, you can also send files from your PC to android and vice versa without any network connection. Overall AirDroid is the best way to put your android into your computer. SuperBeam is another cool file sharing app for android that’s worth having. The app is more simple and reliable thus proving that it is the most easiest and fastest way to share large files between your devices by using the WiFi direct. Superbeam brings an NFC and QR code scanner that can be used to pair devices. Apart from this, the app brings a modern material user interface and moreover it can use the web interface to share files between devices that do not have Superbeam. One unique thing i like about this app is it’s plethora features, which allows you to choose your stored file directory. Also you don’t have to worry about duplicate files, as SuperBeam will automatically add unique numbers to duplicated file names. 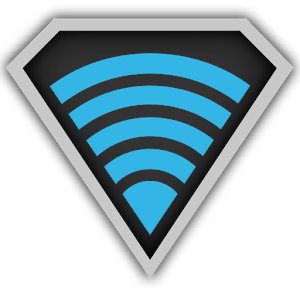 SuperBeam can also switch to hotspot mode automatically for devices that don’t support WiFi direct. Also, it can use existing WiFi network connection between devices in case WiFi direct fails. Overall SuperBeam makes file sharing as convenient and fast as it should have been. Xender was and still is my most favourite file sharing app for android that i have to fancy, even since i moved out from flash share, i have made Xender a system app on my device in other not to lose it. To be sincere i can pinpoint to you that xender is better than the best file sharing app. Xender been a WiFi file transfer master can share any type of files in any places at any time without mobile data usage. There’s no restriction and it’s speed is limitless. Thus it can send videos, images, documents, and huge files in seconds without any need for internet connection. Xender is also a cross platform app that enables you to share any files between Android, iOS, Mac and Windows operation systems. The app UI brings a friendly design and contains tons of essential features such as in-built file manager and the ability to play music during file transfer process. Currently over 50 million people downloaded Xender from the Google Play Store. 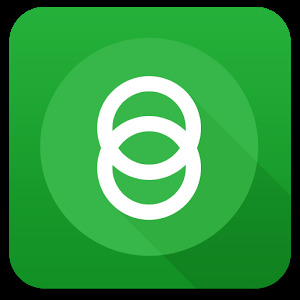 Share Link is another feature packed file sharing/transfer app for android smartphones. The app can painlessly perform various types of file transfer, such as sharing multimedia files and applications in a quick and seamlessly way without any hassle. It’s one of the best alternative to Superbeam and if perhaps you want something more simple and easy to use, then share link could be the answer. The app (share link) lets you transfer any type of files, photos and music simply tapping the “Send file” or “Receive file” button even if you aren’t connected to the Internet. Apart from this, Share Link offers some unique special features such as the ability to link with all brands of Android devices and perform other file transfer via Wi-Fi direct. You can also connect and perform quick file transfers with nearby PCs upon installation of Share Link in Windows. Currently over 10 million people downloaded Share Link from the Google Play Store. The last but not the least! 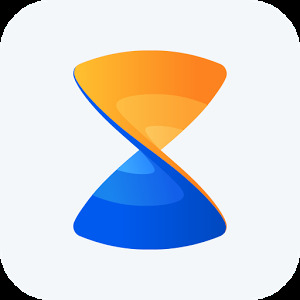 SHAREit is no doubt the world’s fastest cross-platform file transfer tool for android. After using xender, I can boldly tell you that SHAREit is more better. The app can painlessly share all kinds of files whenever and wherever. It’s most unique feature that i have come to love is that it’s 200 times faster than bluetooth speed. You don’t have to worry about USB, data usage and internet connection since everything are done wirelessly. 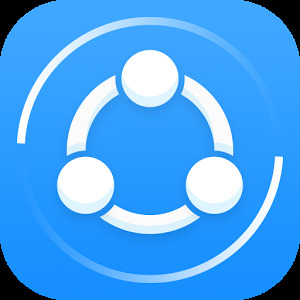 Once this app (SHAREit) is installed on your respective device, be it android, iPhone/iPad, Lumia, Windows, and Mac, then sharing files can be one step ahead. SHAREit also allows you to transfer files between phone and PC without any hassle. Overall the app is the best option if you’re looking for a fast and reliable file transfer tool for your android device. Currently over 100 million people downloaded SHAREit from the Google Play Store. The Google play store is filled with huge catalogue of WiFi file transfer app, however we decided to “fish out” the best among them. It’s now up to you on which among the above mentioned file sharing apps for android you find more reliable and worthy. They all brings plethora features and moreover they’re fast and easy to use.